Much as we love the little snippets of information about our ancestors, we still tend to keep focusing on the “big ticket” items in our own lives. My photo today is about the ordinary moments, the ones we often forget to capture. 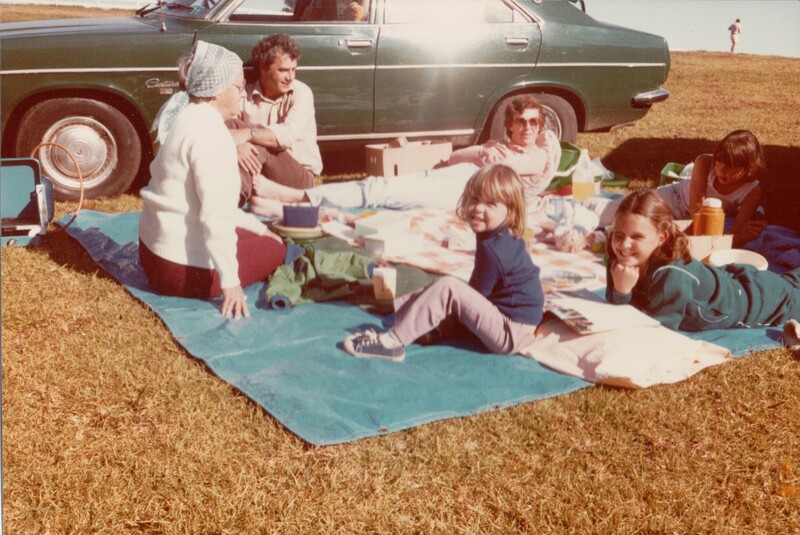 Over the years picnics have been big in our family: at the beach, in the hills, in the bush, overseas, with others, on our own. 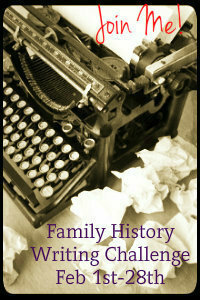 I’m not going to write much about each because there’s no need. So let’s go picnicking…as much a challenge in the snowy north at the moment as it is Down Under with 35C heat. 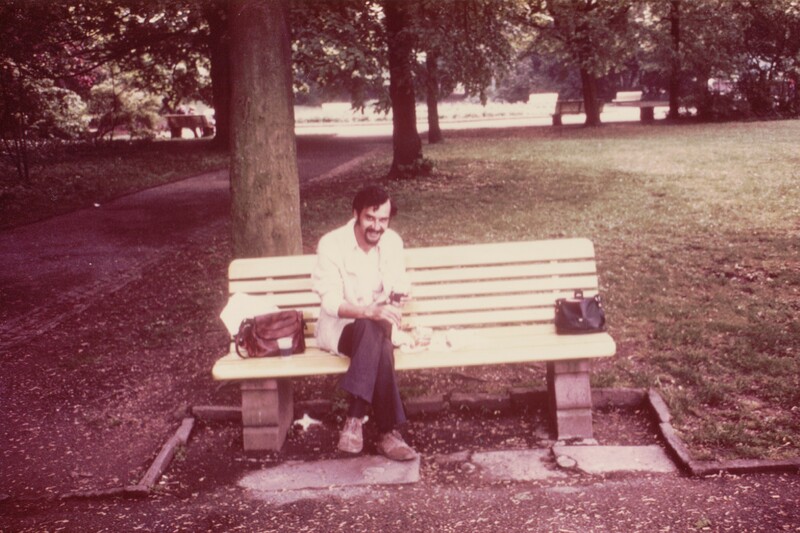 This may have been our classiest picnic -across from Buckhingham Palace on our 1977 trip. 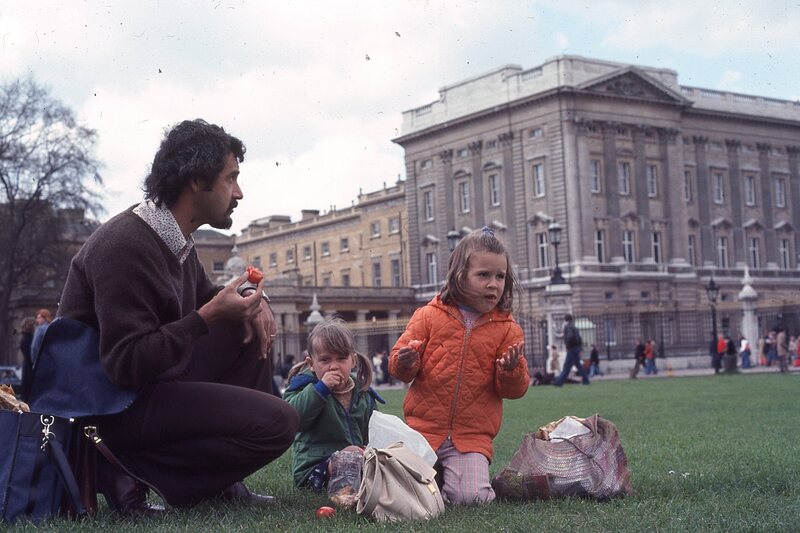 Mr Cassmob and our two darling daughters (henceforth DD1 and 2). Peter and DD1 and 2 at Ela Beach. 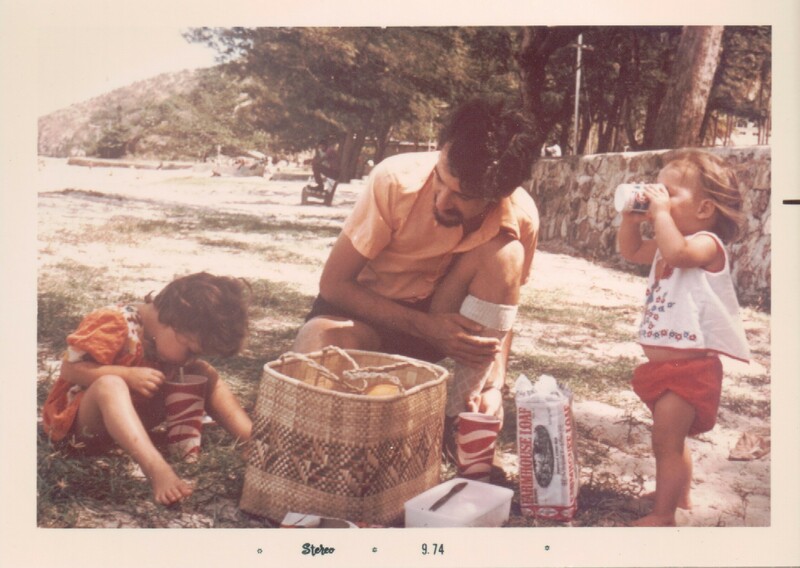 How better to celebrate our relocation from the Highlands to the coast than a picnic at Ela Beach 1974. Mr Cassmob, roast chicken and a wine in the grounds of Heidelberg Castle. 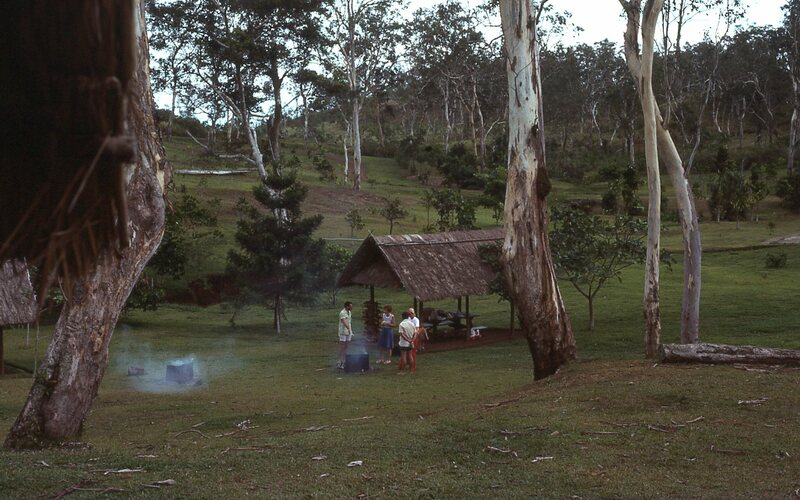 (Above) Varirata National Park (we used to call it Variarata) outside Port Moresby, up in the hills near Sogeri, was a family favourite for picnics and BBQs. Boxing Day, visitors, any day. Often a group of us would go up travelling in convoy. (Below) Most times we visited we took photos from the lookout which had a lovely view down towards Moresby and out to the sea -not that you’d know it from this picture. Unfortunately the good ones all have lots of still-living people in them. DD1 photographs her Dad while Mum photographs both! 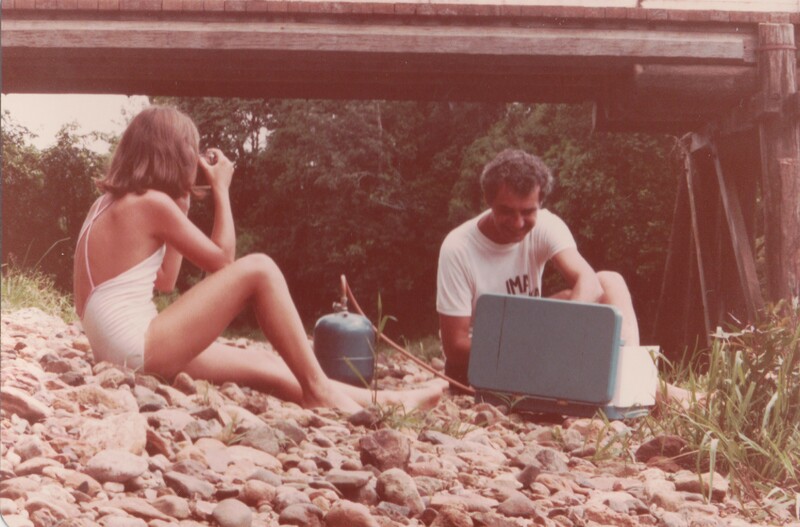 For some reason we quite liked a picnic BBQ beside Obi Obi creek near Nambour (this is a later photo). 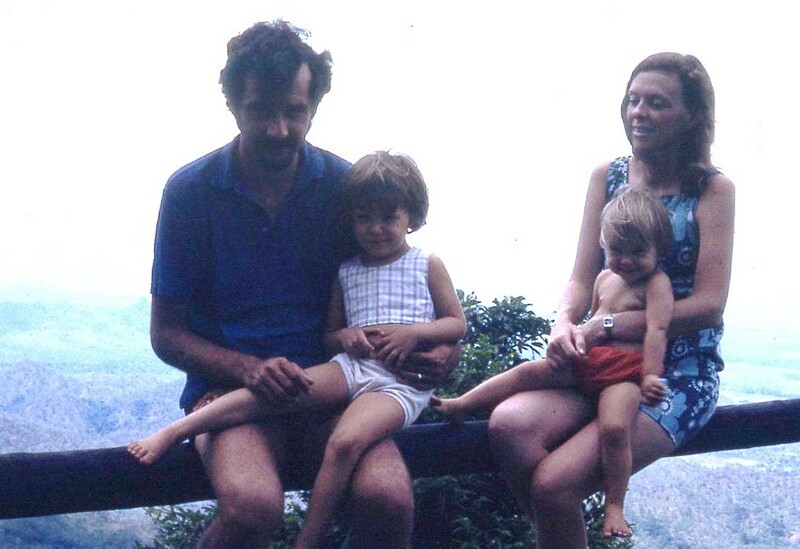 A rare photo of a picnic with Peter’s parents at Mary Cairncross Park near Nambour (his Mum didn’t do picnics). His father obviously took the photo. Another from beyond the 28 year span. 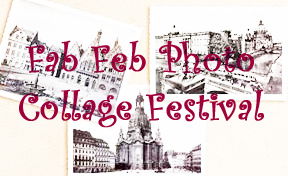 This entry was posted in Cass family history, Family History, Family History Writing Challenge, February Photo Collage Festival, Papua New Guinea and tagged Europe, family history writing challenge, February Photo Collage Festival, picnics, PNG, Variarata by cassmob. Bookmark the permalink. great memories and photos Pauleen and what wonderful picnic spots! 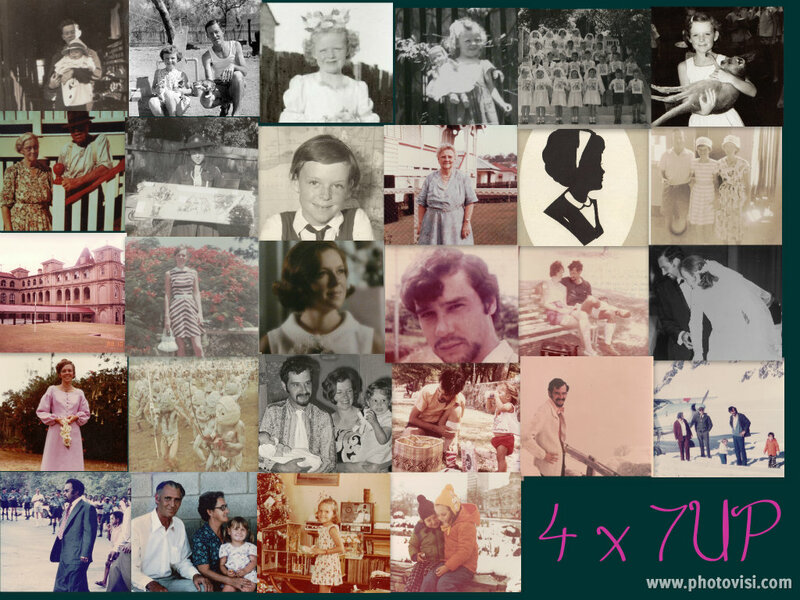 Thanks Kerryn, this series has been rather self-indulgent but I’ve enjoyed unearthing the photos (and the memories) and trying to put a different “spin” on the stories. The location of one or two might have been classy but the repast has been pretty basic. Like you picnics seem to have disappeared from our agenda in recent years -climate I tink. Maybe it’s that it cheaper now we don’t have a family along with us as well 🙂 Or that provides the lack of motivation or….